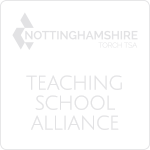 The application process is the same for Core, School Direct and School Direct Salaried routes at the Nottinghamshire Torch SCITT. Applications must be made through the UCAS Teacher Training website. Once your application has been completed, your application will be sent to the Nottinghamshire Torch SCITT. Applications will be screened by the SCITT Director before deciding whether to offer an interview. This will include checking that you meet our entry criteria and looking at the professional way in which your form has been completed. It is advisable to gain school-based experience prior to commencing the course. You will be required to submit a 300 word personal statement expressing your reasons for applying to teach and how your experiences, personal skills and attributes will equip you to become an effective teacher. You will be required to provide the names of 2 referees; one of which should ideally be an academic reference from your first degree university and one from a personal referee who can testify to your character, personal attributes and qualities. At interview, you will be required to verify your identity, preferably from current photographic ID, for example a passport or driving licence and proof of address except where, for exceptional reasons, none is available on the day of interview. You will be required to obtain a certificate for an enhanced DBS check with a barred list information as you will be engaging in regulated activity, if successful. Before final acceptance on the course, all candidates offered a firm or conditional place will complete and return to the SCITT Administrator a declaration of health questionnaire. You will be asked to return the completed questionnaire directly to Occupational Health. This information will be considered by the medical adviser who will request additional information if necessary. You will be required to have passed the Literacy and Numeracy Skills Tests before taking up your training place. Whilst you are not required to have applied and passed these tests before interview you will be strongly recommended to take these as soon as possible. The interviews will normally take place at Toot Hill School. The interview panel will be made up of the SCITT Director, representatives from our partner schools and a subject specialist from one of our partner schools. Introduction to our alliance, the partner schools, our training programme, funding, the format of the day, post-interview procedures if successful/unsuccessful, etc. by the SCITT Director. Meeting with our SCITT Administrator to check ID qualifications etc. Group activity with all candidates or groups of candidates – observed by members of interview panel around the features of effective learning. Observations would be recorded by each observer on the Interview Day Decision Pro forma sheet. Written task on subject related topic to check subject knowledge. Please note for MFL candidates this would be in the language(s) chosen to teach. This would be assessed by the subject specialist and recorded on the Interview Day Decision Pro forma sheet. Formal presentation and interview. The presentation would be a 5 minutes maximum presentation on "Why I want to teach" and the formal interview would include subject specific questions as well as general questions about education, personal qualities and suitability to teach, other interests and hobbies. The interview process would also aim to check the candidate's ability to cope with the demands of the course and their resilience. You will also be able to ask questions of the panel relating to the course, training, partner schools etc. Bursaries of up to £26,000 and scholarships of up to £32,000 are available to support graduates throughout their training. Certain eligibility requirements depend on the subject and age range you plan to teach and your degree class.